And we want them now. 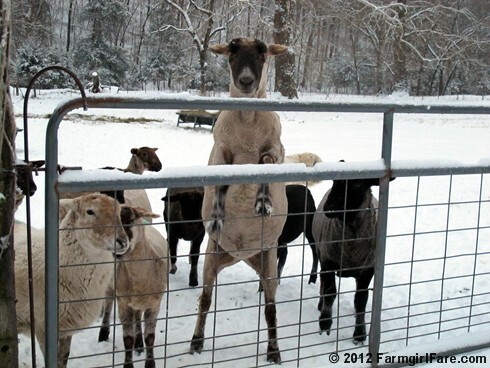 © FarmgirlFare.com, home of Teddy, the eight-year-old enormous (and rather pushy) pet wether. Neither snow, nor sleet nor rain shall keep you from delivering treats! What a lovley blog you have! Cute picture of your sheep! Enjoy the snow while it's still there, I do that here in Sweden! Sunday Dose of Cute: Sheep Shearing Day 2012!